With OS X Yosemite’s arrival fast approaching, we decided to sit down with some of our designers here at MacPaw and ask them their thoughts on the new OS. We came up with 5 questions that we thought would stir up some conversation. Enjoy! What was your first impression of OS X Yosemite? What do you like and/or dislike about OS X Yosemite’s design? There’s a clear unification in the icons’ design that simplifies the work for designers. The general look of the interface benefits from it. A new range of colors makes the interface brighter. I love the transparency with blur on app windows, it gives the feeling of lightness. The Yosemite Dark Mode feature, which makes the Menu Bar and Dock dark, is perfect for working in Final Cut, Logic Pro X, Adobe Photoshop, and Illustrator apps. De-cluttering, getting rid of unnecessary icons and icons’ details where they weren’t needed. All icons are drawn with the new lighting rule in mind: cold source of light from the top and warm source with shadows from the bottom. It was a strange decision because it gives the feeling that the icon is dirty and cold. Some interface elements are misleading and require some getting used to. For example, the Spotlight query field and the search button look the same, but they work differently. Some icons are drawn carelessly, apparently in a big hurry (e.g. Game center, Calculator). The green maximise window button now makes the window full screen and it’s rather hard to get used to. Favorite visual update — the Dock icons look brighter now. The Notifications Center is fantastic, I like glancing over and seeing the stuff that’s important to me. The same with Security & Privacy. …Oh, and the hard drive icon, too. How has OS X Yosemite changed the way you work? 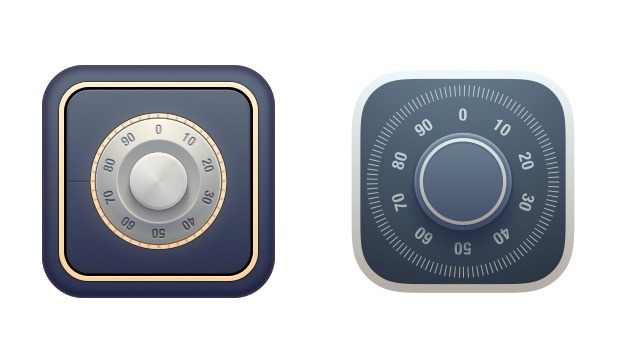 @novikoff: “If we’re talking about drawing icons, the designer’s work has become a bit easier. Now, there are clear drawing guidelines. There is a special grid that helps to align everything and understand which kind of lighting you should use. But, it’s a little bit more difficult to work out the behavior of transparency under different conditions and the logic associated with it. @grigoruk: “With the new Apple design guidelines stating the shape, grid, and lighting, it’s important to remember that these are exactly that: guidelines. You always begin working with the given tools and systems but, within those parameters, are trying to express your own vision. And it is vitally important to change, not only the design of the app, but also rethink the app itself. How is MacPaw using the new design trends from OS X Yosemite? 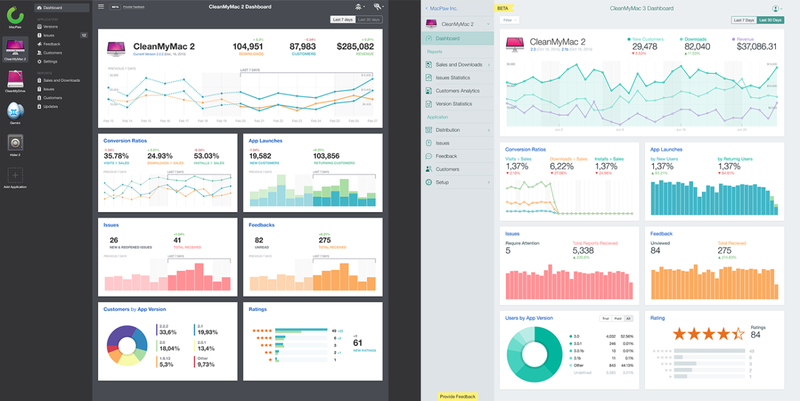 Pre-September design (left) vs. Post-September design (right). Data in the design is for display purposes only, not actual data. OS X Yosemite: a step forward or backward? Hopefully, this was a nice little peek into the minds of our designers here at MacPaw. We’re all looking forward to the public release of OS X Yosemite, hopefully it’ll be tonight! 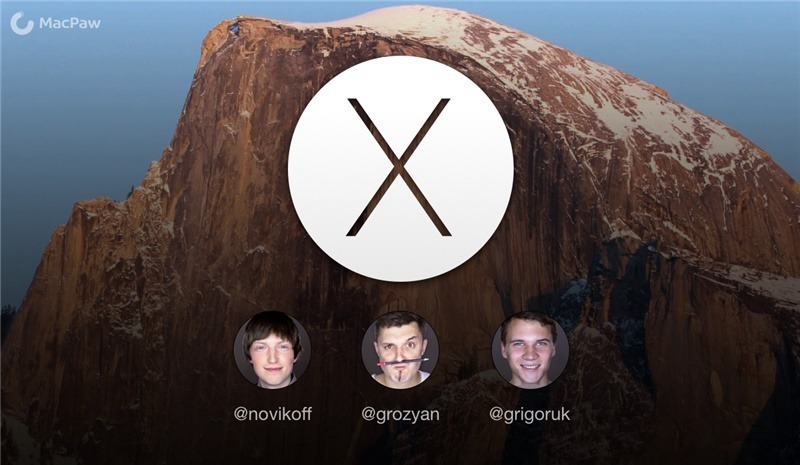 Be sure to drop us a line on Twitter and tell us your thoughts on OS X Yosemite.